Gust has announced that they will be debuting the first gameplay footage for the latest installment in their Atelier series, Atelier Escha & Logy: Alchemist of Dusk Sky (originally codenamed A15) at a Nico Nico broadcast, live on the 13th of May. The footage itself will first focus on the mixing of items and the alchemy system, while the second part will focus on the battle mechanics and the world in which the game takes place. The game’s director, Yoshito Okamura, will be leading the demo with Ryo Hirohashi, and together they will be hosting the event. Rie Murakawa and Kaito Ishikawa, Escha and Logy voice actors, will appear as guests. For those of you who are interested, you can catch the live stream here, again on the 13th of May, at 21:00 Japanese time, or 9:00 EST. It’s good to see Gust continuing supporting the PlayStation 3. Like the PlayStation 2 before it, the PlayStation 3 still brims with life and continues to show opportunities for developers who are not yet ready to jump straight into the next generation of consoles. 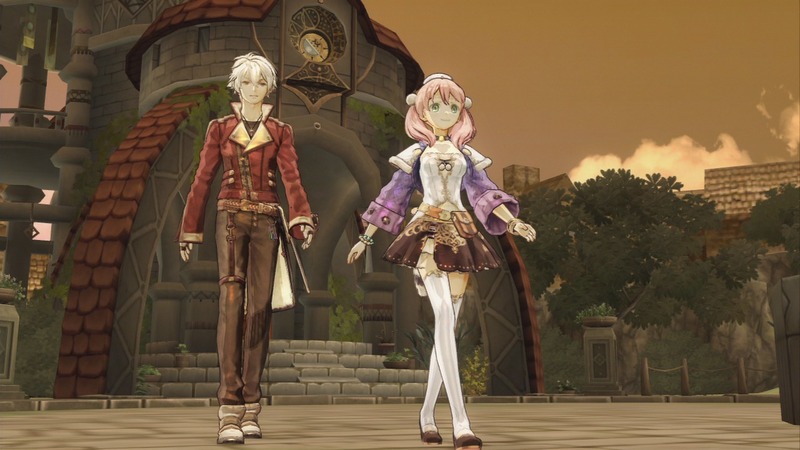 Atelier Escha & Logy will be a PlayStation 3 exclusive, and will be released in Japan on the 27th of June later this year.